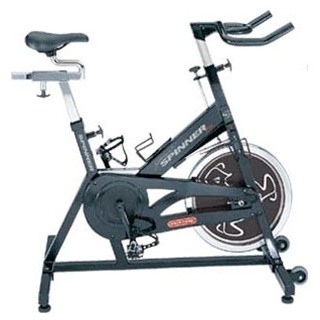 Star Trac's Johnny G Pro exercise bike boasts a re-engineered resistance assembly with a simplified design and components. The single brake pad system utilizes new pad material that eliminates the need for frequent lubrication and replacement. The Pro is a serious, durable and easy-to-maintain bike designed with all of the ergonomic features and capabilities of a real road bike for optimum performance and undoubted results. Resistance Type: Flywheel Design simulates the movements and feel of real cycling and minimizes the stress on your knees.